There are many motorhoming island hoppers out there, according to our latest poll results. 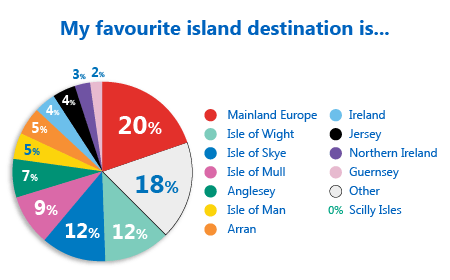 Last month we asked you to vote for your favourite island destination after bringing you a feature on using your motorhome to explore the British Isles. We gave you 11 British islands to choose from as well as mainland Europe and as always there was the “other” option. We had 103 votes in total with a narrow majority of 20 per cent opting for Mainland Europe, followed closely by the “other” option with 18 per cent of the votes. The Isle of Wight and the Isle of Skye came in at joint third with 12 per cent of the final vote each. The Isle of Skye was a favourite of John Fahy, who also recommended the Lofoten islands off the Norwegian coast. With so many islands across the UK, a handful of you shared other islands we missed off our list, proving that there are many hidden gems out there. It also revealed that some of you have a passion for some true wild camping! 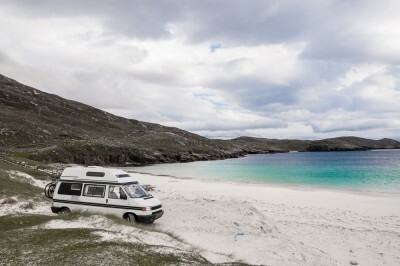 The Outer Hebrides proved to be a popular touring spot for some, for its stunning beaches and magical landscapes. Do you agree with the vote? Share your views using the comment box below.